As it turns out, 300 kbp/s or greater. 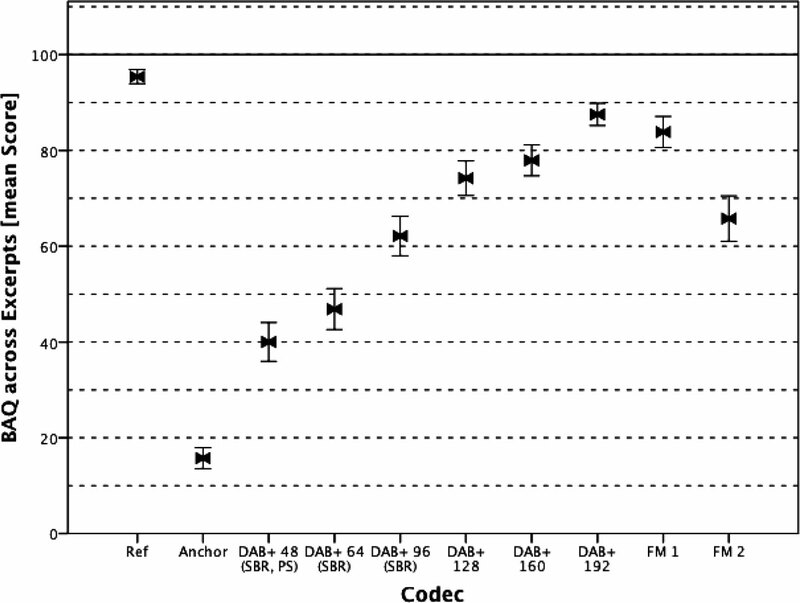 At least in critical listening environments according to the paper titled Perceived Audio Quality of Realistic FM and DAB+ Radio Broadcasting Systems (.pdf) published by the Journal of the Audio Engineering Society. This work was done by group in Sweden and made various observations with different program material and listening subjects. Each person was given a sample of analog FM audio to listen to, then they listened to various audio selections which were using bit reduction algorithms (AKA CODEC or Compression) and graded each one. The methodology is very thorough and there is little left for subjective interpretation. 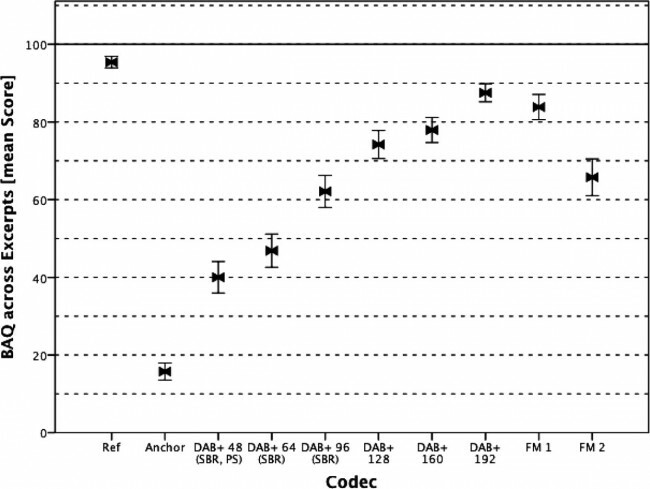 In less critical listening environments, bit rates of 160-192 kbp/s will work. Over the years, we have simply become accustomed to and now accept low quality audio from mp3 files being played over cheap computer speakers or through cheap ear buds. Does this make it right? In our drive to take something good and make it better, perhaps it should be, you know: Better. Special thanks to Trevor from Surrey Electronics Limited.